New Soft Surroundings Silk Tank Top Shirt Misses L 14 16. Floaty silk printed chiffon adds a layer to the front of a basic beige top - a unique twist detail around the scoop neckline. 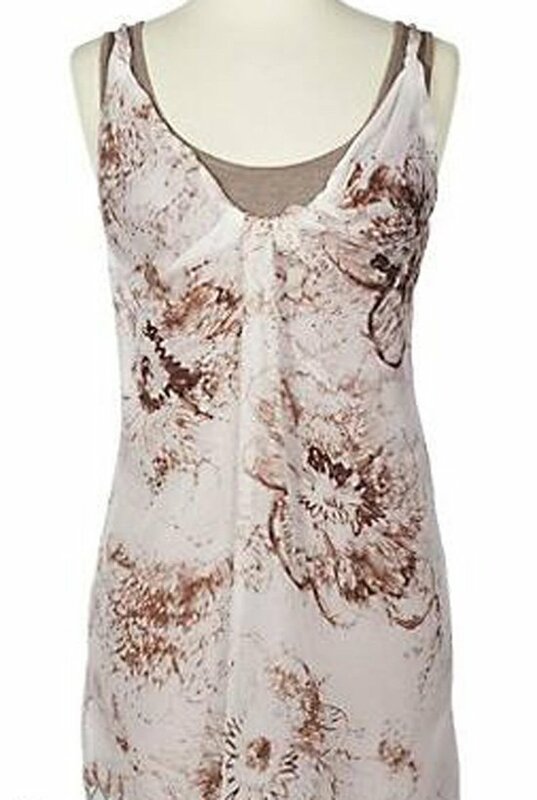 Earth tone print overlay drapes slightly longer than the soft cotton/modal/spandex shaped top. About 31" long. Classic fit. Washable. Size L (14-16). Body measurements: bust (39.5"- 41"); waist (32"- 33.5"). See accepted payment method above. Please send within 2 days of purchase. Shipping for this item includes delivery confirmation, US only. For international, please contact me for shipping charges.